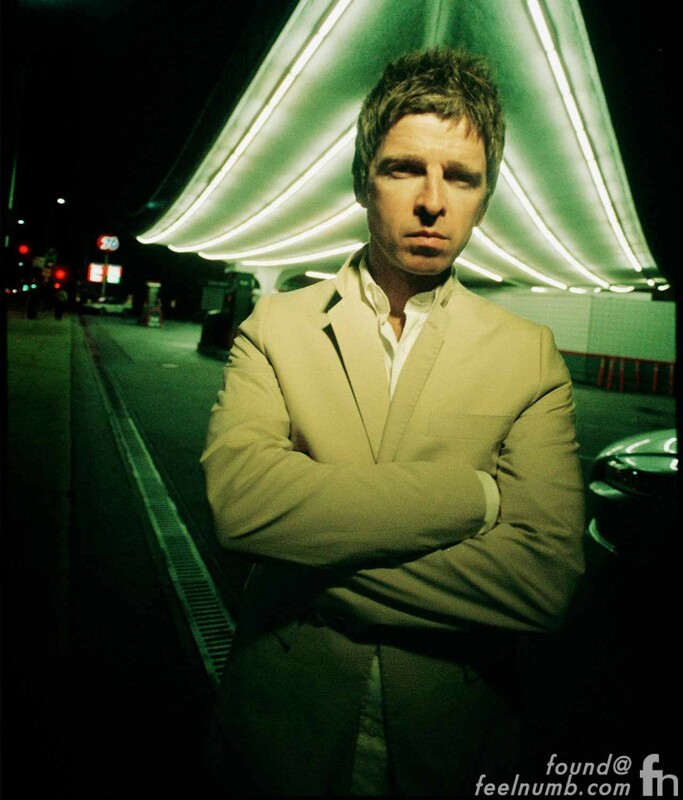 Noel Gallagher released his self-titled debut album Noel Gallagher’s High Flying Birds on October 17, 2011. 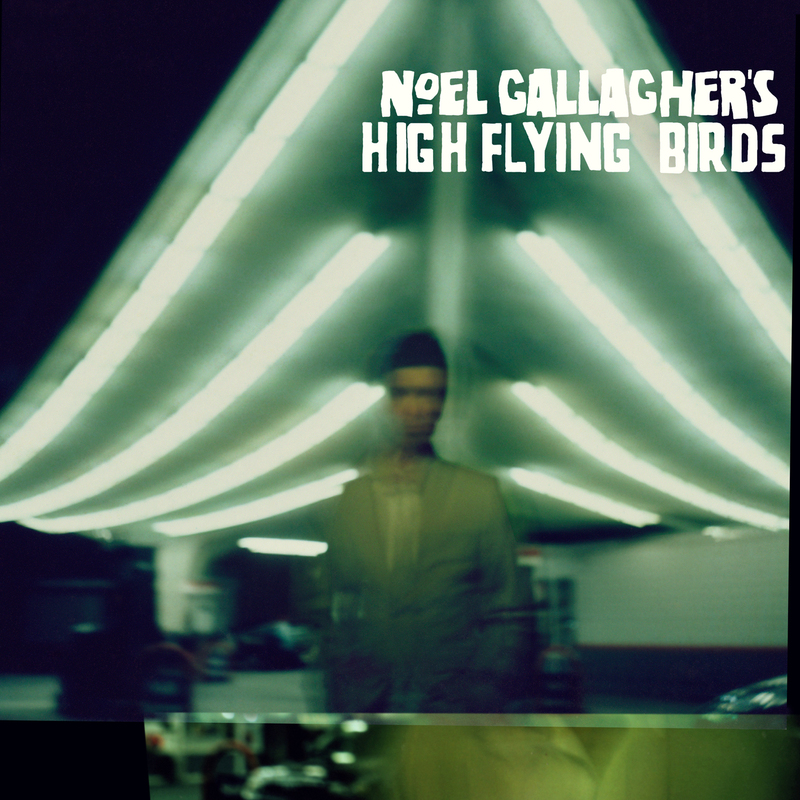 The album cover shows a blurry Gallagher in front of a really cool futuristic lit up roof. 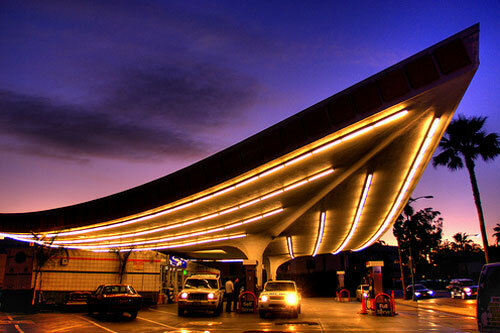 The location is Jack Colker Union 76 gas station in Beverly Hills, California designed by William Pereira. 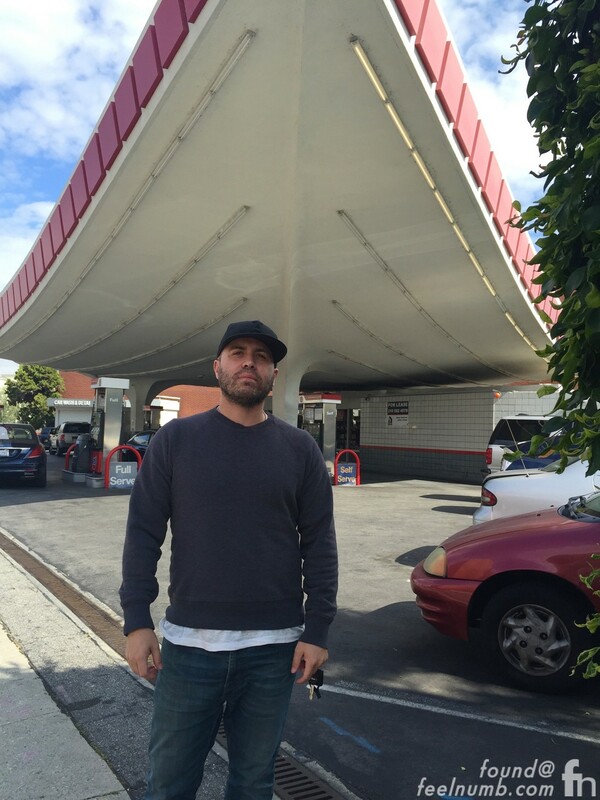 The address is 427 N Crescent Dr. Beverly Hills, CA 90210. 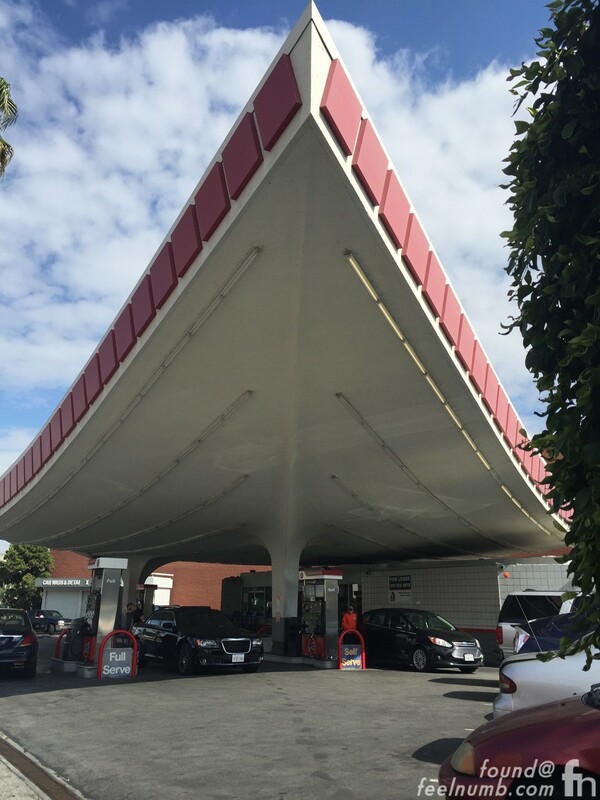 The curved, triangular structure was originally meant to be a part of the LAX airport, but when it wasn’t needed, it was installed at the gas station which has now become a landmark. Here is a feelnumb.com exclusive photo taken from the same angle as the Noel Gallagher cover photo. Here I am, Raul Rossell of feelnumb.com “Standing on the Shoulder of Giants“. 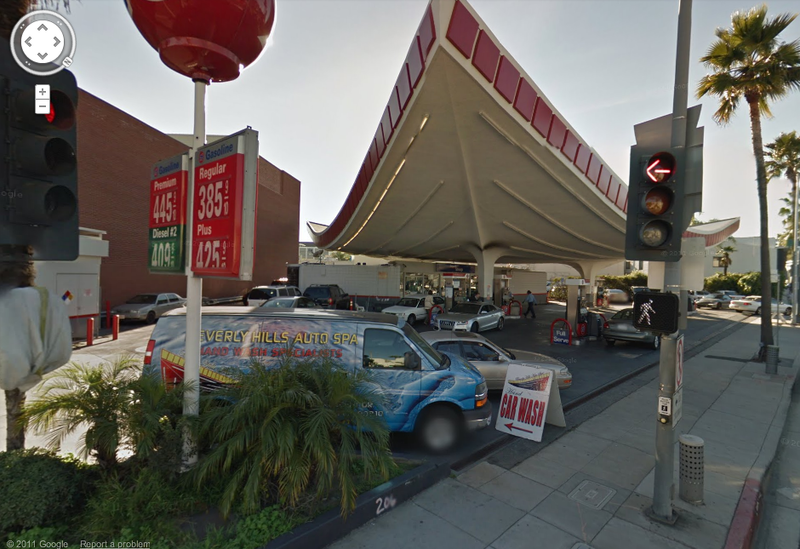 Click below for the google street view link.